Lansdowne On The Potomac Welcome Center - Marketing Specifics, Inc.
Lansdowne On The Potomac is one of Virginia’s extraordinary communities of upscale residences. Since this community was a rare combination of natural beauty, recreational facilities and technological sophistication, the design for the sales center had to be different, impactful and upscale for this discriminating high-tech buyer. 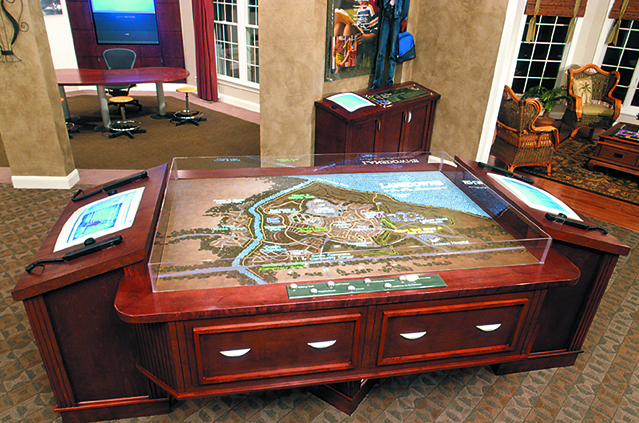 A floor graphic was designed that was inset into the carpeting of the sales center – when you walk in, you look down and see the points of interest on this locator map. 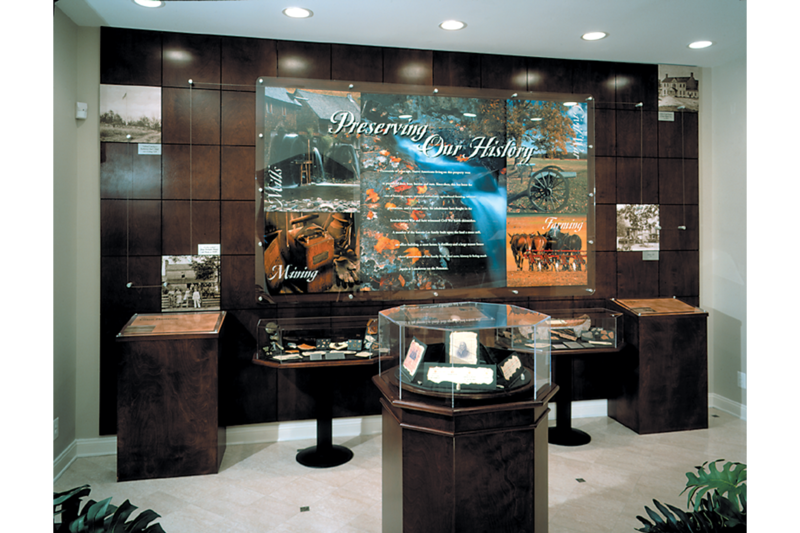 There is also a handsome history room with stained, paneled walls and artifact display cases, showcasing what has been found on the property during the archeological digs. 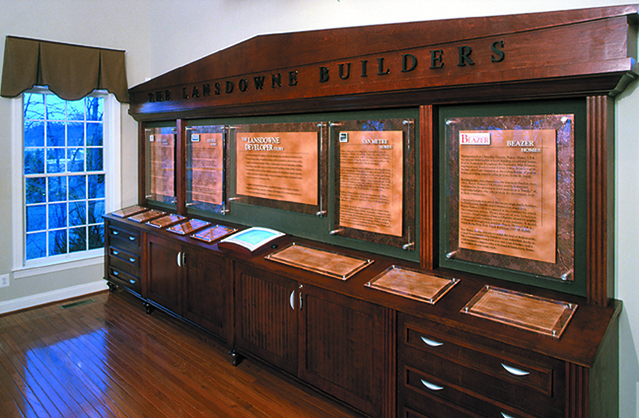 There is also a comprehensive exhibit on the builders at Lansdowne, as well as displays on the community, schools and amenities. Also included, is a Technology Center that showcases the many hi-tech offerings available at Lansdowne on the Potomac and includes a fiber-optic site map with sound sticks and so much more.